Help improve the Provo River Trail by taking this short online survey. Thanks to the RAP tax, some major (and greatly needed) improvements are coming to our beloved trail. 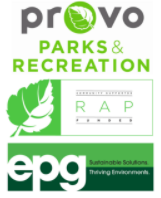 The Provo Parks Department is committed to doing it right and have funds to do some amazing things so please share your ideas, big or small. Resident feedback plays a HUGE role in projects like this, so please take the survey and share it with your like-minded friends. This entry was posted in Bike Paths, Provo River Trail by Jamie. Bookmark the permalink.